Samsung India says that on popular demand, it has increased the exchange bonus on the Galaxy S10 line. So, going forward, customers buying Samsung Galaxy S10e will get an exchange bonus of Rs 4,000, while earlier they got only Rs 2,000. On the other hand, if you buy the Samsung Galaxy S10 (128GB variant) will get an exchange bonus of Rs 6,000, while earlier they got Rs 3,000. Those buying the 128GB storage version of Samsung Galaxy S10+ will get back Rs 5,000, instead of Rs 3,000. Customers who will buy the higher variants of Galaxy S10/S10+ (512GB/1TB) will now get an exchange bonus of Rs 10,000. Customers who will pay for their purchase of Samsung Galaxy S10, Galaxy S10+ and Galaxy S10e via Bajaj Finance (9/0 scheme – 9 months, zero down payment, zero interest) will be getting special cashback offers. If you buy the Samsung Galaxy S10e, you will get Rs 4,000, while those buying Galaxy S10 or Galaxy S10+ will get a cashback of Rs 6,000. Customers who would opt to buy Samsung Galaxy S10 smartphones via HDFC Bank cards will get a cashback of Rs 4,000 on Galaxy S10e and Rs 6,000 on the purchase of Galaxy S10 and Galaxy S10+. Besides this, customers who will buy handsets in Galaxy S10 line will be eligible for getting Galaxy Buds for Rs 4,999 instead of Rs 9,990. Customers can also go for Gear S3 Frontier that costs Rs 22,900, however, they will be able to avail it at Rs 9,999. We should mention that Samsung Galaxy S10+ is available in 1TB, 512GB and 128GB storage variants that cost Rs 1,17,900, Rs 91,900 and Rs 73,900 respectively. The 1TB and 512GB variants of Samsung Galaxy S10+ are available in luxurious Ceramic White and Ceramic Black colours respectively. On the other hand, the 128GB variant can be bought in premium Prism Black, Prism White and Prism Blue colours. Coming to Samsung Galaxy S10’s 512GB variant, it is priced at Rs 84,900 and will be available in Prism White colour. On the other hand, the 128GB variant will cost Rs 66,900 will be available in Prism Black, Prism White and Prism Blue colours. 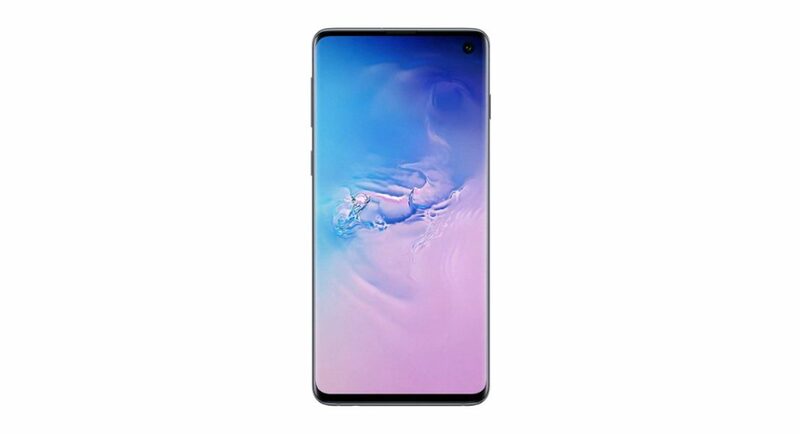 Samsung Galaxy S10e is available only in 128GB storage variant that can be bought Prism Black and Prism White colours. It costs Rs 55,900.